4. Choose the correct one from among the alternatives A,B,C,D after matching an item from Group 1 with the most appropriate item in Group 2. 4. For the circuit shown, two 4-bit parallel in serial out shift registers loaded with the data shown are used to fed the data to a full adder. Initially, all the flip-flops are in clear state. 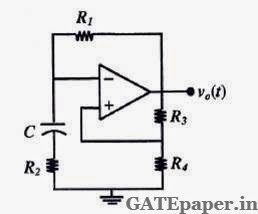 After applying two clock pulses, the outputs sum and carry of the full adder should be ……respectively. 4. In the circuit shown, assume that the OP-AMP is ideal. a. 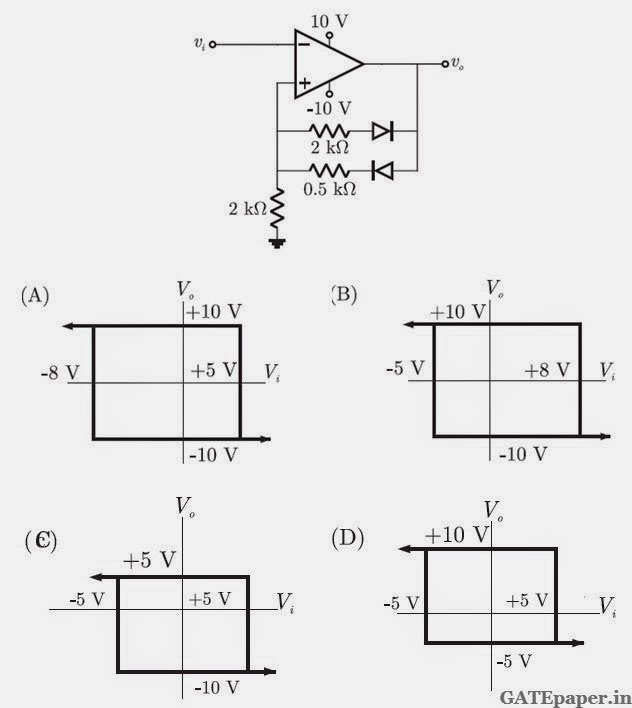 Obtain an expression for Vo in terms of Vs, R and the reverse saturation current Is of the transistor. b. If R = 1 Ω, Is = 1 pA and the thermal voltage VT = 25 mV, then what is the value of the output voltage Vo for an input voltage Vs of 1 volt? 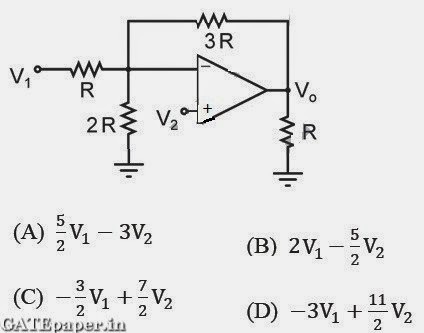 c. Suppose that the transistor in the feedback path is replaced by a PN junction diode with a reverse saturation current of Is. The P-side of the diode is connected to node A and the N-side to node B. then what is the expression for Vo in terms of Vs, R and Is ? 4. Consider the circuit shown. Assume the operational amplifier is ideal. a. In which mode is the BJT operating (active or saturation or cutoff)? Justify your answer. b. Obtain an expression relating the output current Io and the input voltage Vi. 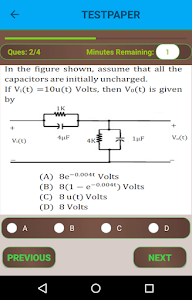 c. Determine Io and Vop if Vi = 2 volt. Assume β = 99 and VBE = 0.7 volts. 2. 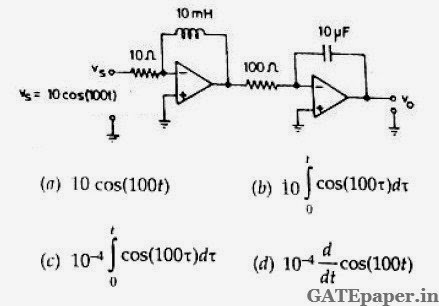 The voltage eo indicated in figure has been measured by an ideal voltmeter, which of the following can be calculated? d. Both the bias currents and the input offset current. 3. 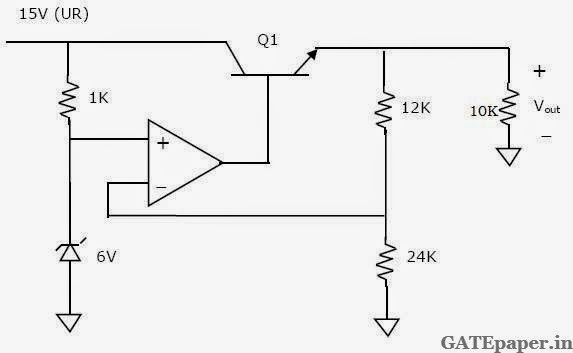 The OP-AMP circuit shown in figure is a filter. The type of filter and its cut-off frequency are respectively. 5. Given the ideal operational amplifier circuit shown in figure indicate the correct transfer characteristics assuming ideal diodes with zero cut-in voltage. 1. 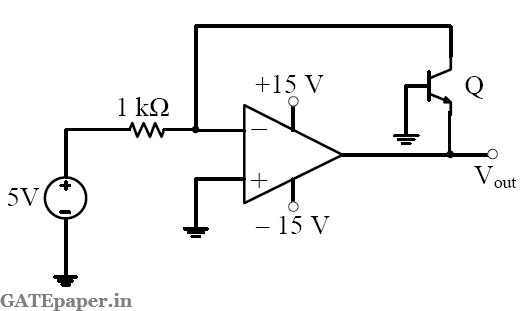 For the circuit shown in the following figure, the capacitor C is initially uncharged. At t = 0, the switch S is closed. 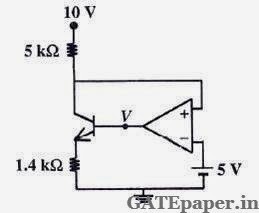 The voltage VC across the capacitor at t = 1 ms is _____. 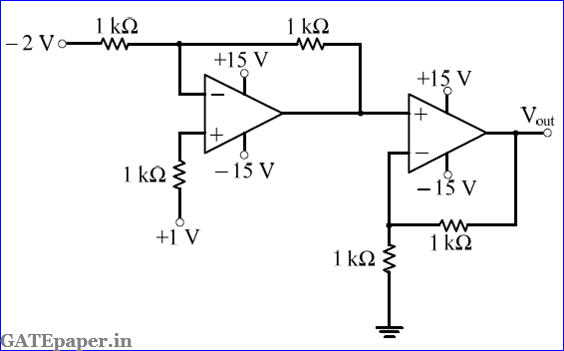 Assume the OP – AMP is supplied with ± 15 volts. 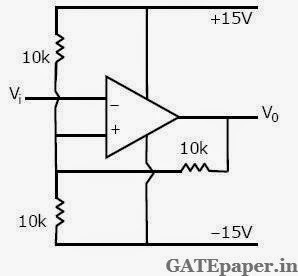 A regulated power supply shown in the figure below has an unregulated input of 15 volts and generates a regulated output Vout. Use the component values shown in the figure. 1. In the low pass filter shown in the figure, for a cutoff frequency of 5 KHz, the value of R2 (in KΩ) is ……..
2. In the voltage regulator circuit shown in the figure, the Op-Amp is ideal. The BJT has VBE = 0.7 volts, and β = 100, and the zener voltage is 4.7 volts. For a regulated output of 9 volts, the value of R (in Ω) is ……..
3. In the circuit shown, the Op-Amp has finite input resistance, infinite voltage gain and zero input offset voltage. The output voltage Vout is …….